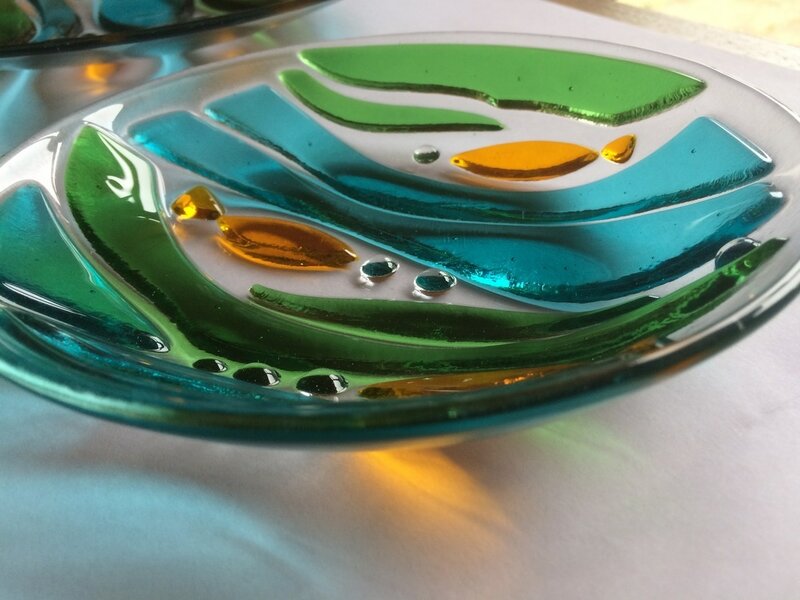 In my Surrey studio, I run small workshops for beginners and improvers, no experience necessary, you will be taught all you need to know to make some beautiful glass pieces. Workshops are for a maximum of 4 people to ensure good tuition and attention to each person. Cost is £60 per person for 2.5 hours, no previous experience necessary, come along with a friend or two for a creative morning/afternoon of fun fusing! I'm fully booked for workshops this year. 2019 workshop dates are on my Workshop page! 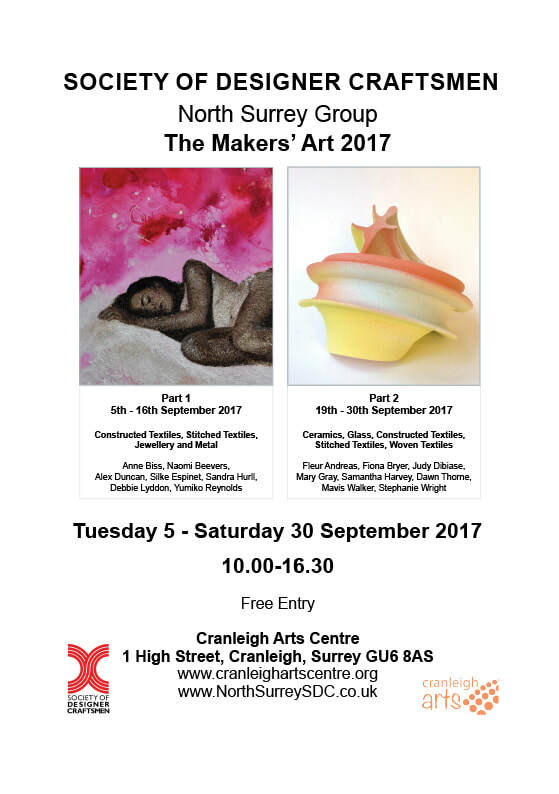 The annual Makers' Art Exhibition with the North Surrey Group of Society of Designer Craftsmen will take place in 2 parts at Cranleigh Arts Centre, 1 High Street, Cranleigh GU6 8AS. 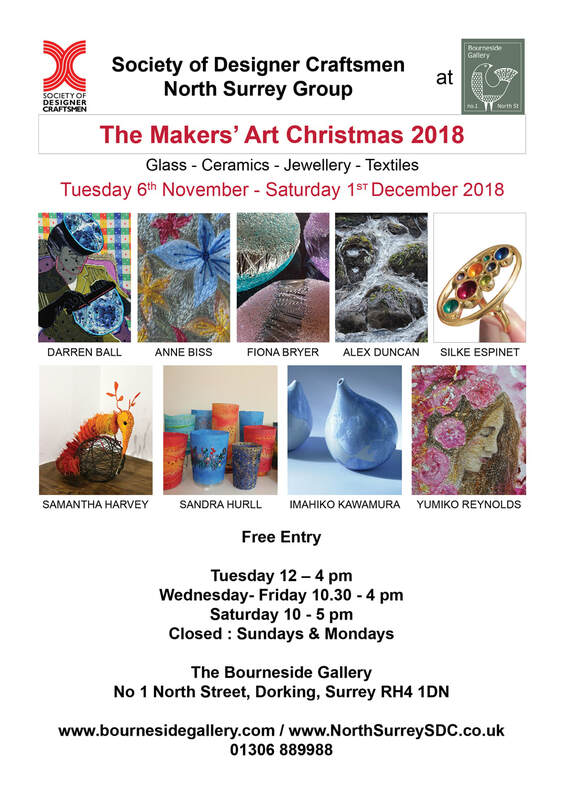 Work on show will be from selected makers of the Society of Designer Crraftsmen, with Part one from 5th to 16th September and Part 2 from 19th to 30th September. 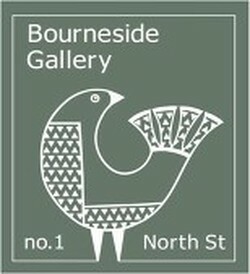 I am taking part in Yvonne Arnaud Art Exhibition with Guildford Arts at the Mill Studio Guildford from 4th to 20th July. 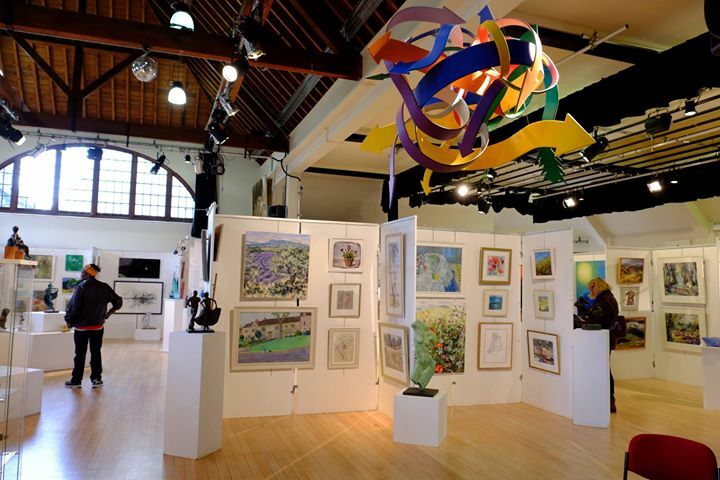 A wonderful diverse collection of paintings, photography, printmaking, glass and sculpture, this is the 22nd annual exhibition to be organised by Guildford Arts with with 'Meet the Artist' Saturdays from 11 am to 4 pm. Entry is Free and I shall be at the Mill Studio on Saturday 8th July for 'Meet the Artist' Hope to see you there! 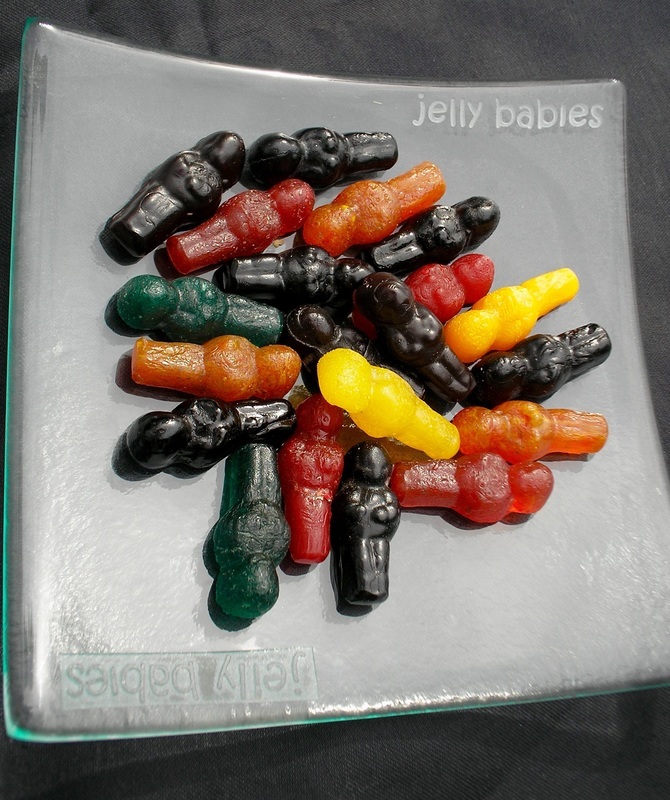 My incongruous motley mixture of jelly babies are made from cast glass, each jelly baby is the actual size of a sweet and colours are matched to the flavours! An exhibition of artists encompassing the theme of 'Space' - pop along to see some lovely work from local artists - painting, ceramics and glass. My work was selected for the online exhibition "Something Yellow" http://www.cgs.org.uk/exhibitions/something-yellow. My cast glass Liminal Beach amber/yellow sculptural centre piece was featured as part of the exhibition. "Coast" mixed media exhibition was a diverse collection celebrating all things coastal! I exhibited a series of my sculptural centrepieces inspired by coastal walks from the South coast and North Cornish coastal regions. This successful exhibition and sculpture trail was held at Prior's Field School in Godalming with work from over 60 artists indoors and out. My first time exhibiting with AppArt and it was a great experience. The 25th Designer Crafts exhibition of The Society of Designer Craftsmen showcased some of my work alongside ceramics, furniture, jewellery, wood, textiles and mixed media. The event was opened by Sir Christopher Frayling.